Of all the baseball coaching tips you receive, I hope you never have to use any of the ones listed below. Most people are worried about their child being placed on a team that is coached by a misguided or uncaring person. But since you are the coach, you don’t have to worry about that problem. And as long as you keep your assistant coaches in check, everything along those lines will be fine. But what if the coach in the other dugout is a loud mouth intimidating coach? How should you handle playing against his team? Listed below is some baseball coaching tips you need to know, but I’ll bet you seldom think about. If the other coach is talking and trying to intimidate your players, let him and the umpire know that you will not put up with that. React to this loudly and clear. Calling him out and alerting the umpires about what is going on should quash this problem. If not and it is bad enough, pull your team and report the coach. Any good league or tournament should respond with swift punishment. And you should have complete support from your parents. Quite often parents are not completely aware of everything happening on the field. Communicate with them what is going on and what you are going to do. Your players will back you and then your parents will follow. And if the problem is with the other team’s parents yelling at your players, again, act swiftly. It is best to approach this as soon as you are aware it is happening. One of the best baseball coaching tips I can give you is to react to problems early. The sooner they are resolved the better. In this case, tell the other coach his parents need to be told to stop talking to you or your players. And if that doesn’t work, talk to the umpire. He really should already know it is a problem, but if not, let him know. Again, this should solve the problem. In many cases, at league or tournament games, there is a roving supervisor. He is available to help in these situations. It is a good idea before any game your team plays to try and find out if such a person exists. They are usually will experienced and have handled situations like these before. Another one of the great baseball coaching tips is learn as much as possible about the rules and circumstances for each league or tournament that you play in. Baseball is an universal games, but the rules governing it differ from place to place. 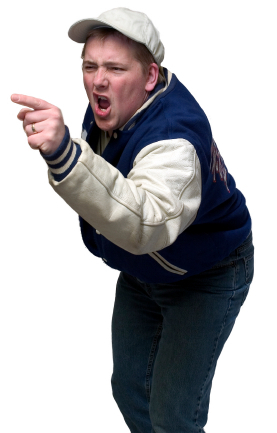 The tough situation to deal with is when the bully coach tries to intimidate the umpires. Every baseball organization like USSSA, Triple Crown, or Super Series has a long list of banned baseball coaches and parents. The majority of those banned are because of umpire abuse or assault. It happens at all levels and all ages. If you attend even a few games you will see it. One of the reasons it happens is because of limited cost and limited availability, little leagues often hire young umpires for games. Often the umpires may be young teenagers. I tell my players if they want to have major league umpires, then go play in the major leagues. Just like our young players are learning to play, the young umpires are learning how to manage the game. They need lots of practice and experience. But many bully coaches see this as an opportunity to belittle and intimidate a young umpire. Given the chance, they will just run right over the teenager. It is up to you coach to help this young umpire out. Umpires are hard enough to come by; we don’t need baseball jerk coaches running them off. 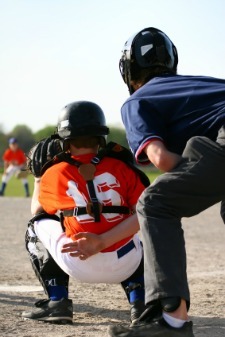 When you first see or hear it happening, talk to the young umpire and let him know he is doing a good job. Unless he is way off, tell him his calls are right on. Let him know the other coach is trying to influence his calls with some fear. Tell him not to fall for it and that you will back him up. Try to build up his confidence. And try to let him handle the other coach. Obviously, if he needs help jump in help him, or seek out the umpire’s supervisor. As said in the beginning, this is one of the baseball coaching tips I hope you never have to use.